DELUCA TUDDENHAM REALTY INC. - DELUCA TUDDENHAM REALTY, DELUCA TUDDENHAM REALTY INC. Invest in yourself & real estate. 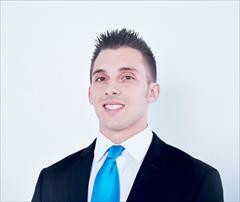 Michael Deluca Tuddenham is the real estate broker for DELUCA TUDDENHAM REALTY. Based out of Miami, Florida DELUCA TUDDENHAM REALTY helps people, buy, rent, sell or invest in Florida real estate.